New Delhi: Soon, one may have to shell out more to avail treatment at the premier All India Institute of Medical Sciences (AIIMS). The Finance Ministry has asked the medical institute to undertake a review and revise its user charges which have not been revised since the last 20 years. Deputy Director V Srinivas said AIIMS has been presenting demands for additional allocation amounting to Rs 300 crores, in the non-plan expenditures which are of recurring nature including salaries, consumables, maintenance and establishment expenditure every year. “The Ministry of Finance has observed that there is large deviation between the budget estimates and the revised estimates. Finance Ministry has, therefore, advised AIIMS to undertake a review of its user charges. They have not been revised since 1996,” Srinivas said. The Director, AIIMS recently had convened a meeting in which the feasibility of the revision of user charges was discussed. AIIMS currently generates Rs 101 crores from user charges which include OPD charges, diagnostic tests in various departments, radiology charges, in-patient care and room rentals. Some faculty members opposed the move given that the AIIMS has a mandate for health equity and services are offered to the poorest of the poor and said that revision of charges should not be carried out. 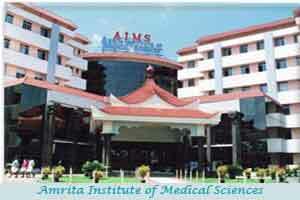 “AIIMS is currently examining the proposal,” Srinivas added. In 2010, AIIMS had initiated a study to determine user charges for various services. According to sources, the proposal to make AIIMS run on a revenue generation model had been proposed in 2005 and 2010 but was later rejected due to opposition by doctors and Members of Parliament. In 2015, in its proposal to the standing finance committee, the administration had proposed a hike of nearly 20-30 per cent on its charges for various tests and procedures. The cost of many routine tests at AIIMS is Rs 10 or Rs 25.